A tooth crown is an artificial tooth that looks like your natural teeth to conceal imperfections such as chips, cracks or discoloration. Most importantly to you, they minimize discomfort and support other teeth that may be damaged. Dental crowns also can act as supports for appliances such as a dental bridge. 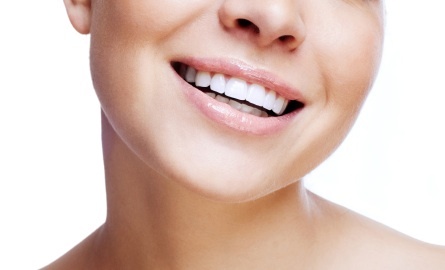 Porcelain teeth crowns also boost confidence by improving the aesthetic of your teeth and in turn your smile. Best of all, thanks to the natural look of dental crowns, no one will be able to tell that you have them. Porcelain dental crowns are fitted in a few simple steps. An impression is taken of your tooth and a temporary tooth crown is fitted, which protects the tooth until the permanent tooth crown is placed. As porcelain teeth crowns are permanent, the area is frozen and the tooth filed down to make room for the tooth crown. This is followed by another impression being taken of the tooth and the temporary tooth crown is replaced. The impression for the tooth crown is sent to a laboratory to be custom-made to fit your mouth to ensure your permanent tooth crown is a good and comfortable fit. When you return to our office to have your porcelain dental crowns put in place, the temporary teeth crowns are removed and the permanent dental crowns are placed. As dental crowns are a permanent solution they will remain in place for decades. Dental crowns offer a practical, simple and long-term solution to a variety of tooth problems, so whether you need physical damage covered or simply want to change the appearance of a discolored tooth, teeth crowns could be your ideal solution. Dr. Shane Sykes’ patients in the Reno, Spanish Springs and Sparks NV area are treated with the utmost care and respect. And at The Reno Dentist, we specialize in calming nervous patients. Trust us to look after your teeth and soon you will be leaving our office with renewed confidence in your smile. Contact us today for a tooth crown consultation. Simply call the phone number above or fill out the form to the right.